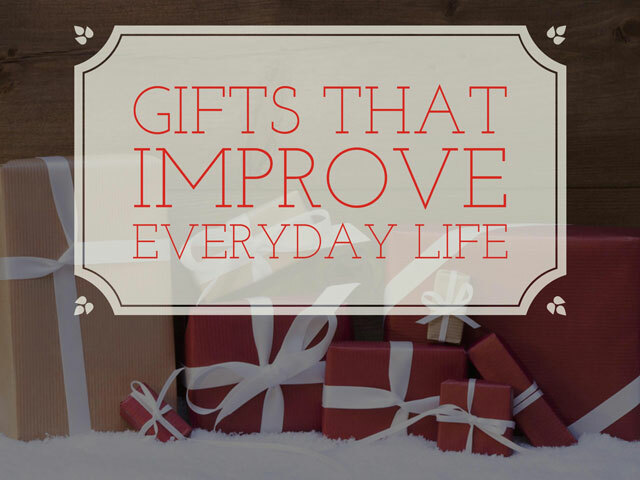 Still looking for the perfect high-tech holiday gift? We have a few suggestions for you that will help with everyday life—and, yes, all of them will ship before Christmas. The Nest Cam Outdoor is a great option for home security—whether that means watching for burglars, keeping an eye on when family is coming and going or keeping an eye on the pets in the back yard. (We also know some people just like to watch the sunset from their back yard even when they're stuck at their desk at work.) This version of the classic Nest Cam is enclosed in a weatherproof housing (the extra-long 25ft cable is weatherproof, too), so it can take sharp 1080p video in rain, shine or snow. Unlike some outdoor cameras, installation is simple: all you need is a power outlet and a Wi-Fi network. 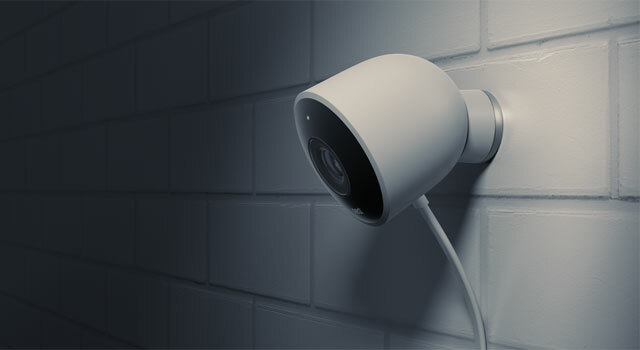 Once it's connected, you can access the Nest Cam from anywhere using your computer or smartphone. But the magic of the Nest Cam is in how easily it can discern when something's actually happening. While you could watch security footage 24/7, most of us don't have the time or patience. Nest Cam sends you an alert with a photo when it detects motion or loud noises, so you know when to look to see if anything's amiss. (You'll get an alert if the power goes out, too, though the Nest can continue recording for a few hours.) In addition to watching live, you can check snapshots from the last three hours—but if you want more, you can subscribe to Nest Aware for a 10-day video history ($10/mo or $100/yr) or a 30-day video history ($30/mo or $300/yr). Nest Aware also makes the camera smarter, with Person Alerts when the camera sees a person (rather than just movement) and detailed logs of the day, with notes of when events happened. You can forget lugging around a bulky DSLR camera when smartphones can take high-quality snapshots and video. But not every smartphone camera is equal: LG's new V20 features wide angle cameras, great image stabilization and fast focusing. The V20 sports a total of four lenses, ordinary lenses on front and back and an additional wide angle lens on front and back. You can choose which you'd like to use when you're snapping photos, deciding whether you want a larger landscape or to focus on your subject. The rear wide-angle camera captures 135 degrees, which can make for some stunning landscapes—but the front wide-angle camera can capture 120 degrees, letting you get selfies with all of your friends in the shot. For video, the V20 uses Qualcomm's Steady Record 2.0, which uses the phone's gyro sensor to stabilize the video in real time for smooth action shots. A hybrid autofocus system keeps the subject in focus by using both laser and phase detection autofocus, so the action is always crisp and clear. It also records better audio than you'll find on any other smartphone, with three high AOP mics to record lossless 24-bit audio recording. And it can record music, even very loud rock concerts, without distortion. This Android Nougat phone sports 5.7" quad HD display in a sleek aluminum body. It has the power and battery life you'd expect for a high-end Android smartphone, but it has one feature that's becoming rare among smartphones: a removable battery. That's right, if your V20 runs out of juice, all you have to do is press a button and swap in a fresh battery. There's no need to carry cables or chargers: just tuck a spare battery in your pocket and the LG V20 will keep going through the longest day. Price: Check LG.com/us for special holiday promotions. While tablets are great for keeping the kids occupied on long trips, it's no fun for kids to fumble with—or, worse, fight over—the tablet in the back seat. This is where a tablet mount can come in handy, attaching the tablet to the back of one of the seats so it stays snugly in place while kids watch or play. The Kenu Airvue has a unique curved mount, which you just flex to fit between the bars on the seat's headrest. When you aren't in the car, it can also attach to similar items, like the handle on a piece of rolling luggage, or it can even be used to prop a tablet up on a table, making it an ideal travel companion. Airvue's grip is adjustable, letting it hold tablets from 7" to 13" and even larger smartphones. Once securely attached, the tablet can be rotated from portrait to landscape and pivoted for easy viewing at any angle. It's sure to keep the kids entertained through even the worst travel delay. If your kids are listening to music or watching shows with headphones, it's a good idea to get headphones designed for kids, which limit volume to protect their ears. Kenu's Groovies fit the bill, with volume limiting technology that maintains the sound pressure level at 85db, which is recommended by the American Academy of Otolaryngology. They're designed for ages three and up, with soft ear pads made of hypoallergenic materials for comfortable wear. And, because kids can be tough on tech, the headphones are durable, with no hinges to snap or break. But our favorite feature of Groovies is Sharelink, which allows you to easily connect up to four pairs of Groovies for multiple kids to listen together. Sure, you can do this with bulky adapters attached to the audio device, but this is a simple way to do it without any extra hardware. Just connect the first pair of Groovies to the sound source, then connect the second pair to the aux port on the first pair. Easy! One of the best items to gift someone who is tech-friendly. Loved reading about the products. Thanks a lot! !